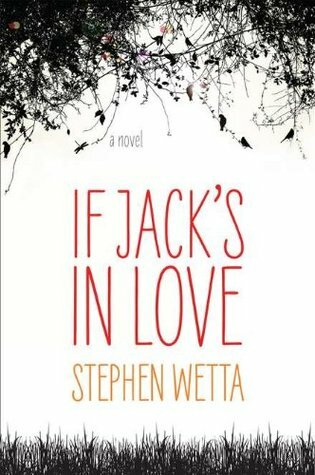 The cover is foiled and crisp, but If Jack’s in Love could’ve been a novella or even a short story. In between the major plot points and twists were long sections of sitting and waiting. Jack Witcher is twelve years old and a genius, and it’s unfortunate for him that he belongs to a family of redneck outcasts. His father is perpetually unemployed, his mother is faithless and ugly, and his older brother, Stan, is the neighborhood bully and stands accused for murder. The story takes place in 1967. Even though the reader knows there’s a murder involved, we don’t get to it until the latter half of the book. I spent much of the first half wondering when Gaylord was finally going to disappear and die. Gaylord is Myra’s older brother, and Myra is Jack’s romantic obsession. Now you see the dilemma. One understands very little about romance at twelve year’s old, but Jack is smart and knows the importance of gift-giving and wooing. Myra is resistant but she eventually falls prey to Jack’s persistence, but all goes awry when Gaylord goes missing, Stan runs off with his girlfriend, and the town wants his head on a stick. I wanted to love this book but it dragged too much. Sometimes when a book drags I know it’s because the author is trying to paint a large picture so we can grasp the minutiae of the story’s setting. I’m guilt of this at times, so I recognize it. Since the story is told from Jack’s point of view, we see what he sees and hear what he thinks. I ended up skimming parts because I got the gist and wanted to move on. Plot-wise, it’s a clever story and the characters are curious enough to invest in them. Shave the narrative down a bit and you’d have a winner. Buy If Jack’s in Love here.